I was organizing photos in my laptop and I decided to put together all the bag and purse tutorials I made for you. The ones I didn’t make the patterns for have got a link to the original pattern. This purse was one of my early projects. I don’t have a pattern, but I used this square from Ravelry. Last week I was working on this Cardigan or Circular Vest if you like. 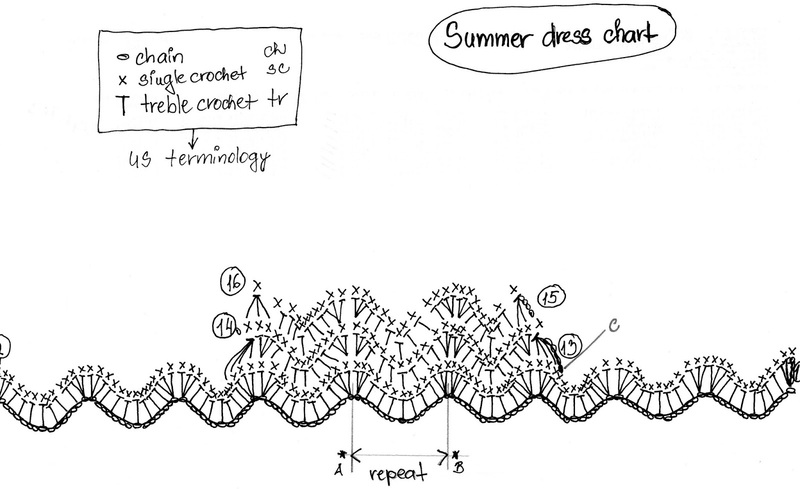 I was thinking about crocheting it for long time, but I kept postponed it because I thought it would be very hard to make. It was not. It’s very easy pattern to follow, and it’s growing quite fast. I think it looks fantastic as well. Not for today, since we have around 32°C, but for cooler summer evenings it will be perfect. 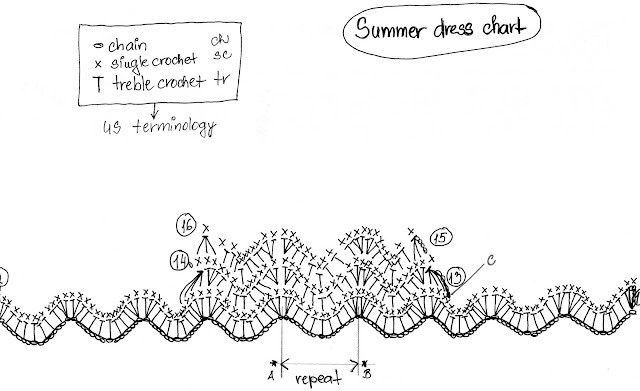 Today I prepared for you a pattern for a summer beanie. It’s very easy and quick to make. You can use various materials, and you do not need much to make it. I think it can be a nice addition to any wardrobe. I used cca 50g of 100% cotton. (Any yarn would be just fine, as long as it would suite your purposes). G/4mm hook and tapestry needle. You can vary the size of your beanie by using different types of materials, and sizes of hooks, or by adding or reducing rounds 12 – 17. This pattern is worked in rounds. Ch3 counts as dc. Slst. on the end of the rounds. Do not turn on end of the round.